Justice PN Prakash directed the Thirumangalam police station in-charge to conduct the probe and fix the criminal culpability of the persons, who moved the Supreme Court on behalf of the dead woman, around ten years after her death, claiming ownership of the property in Chennai's Anna Nagar. 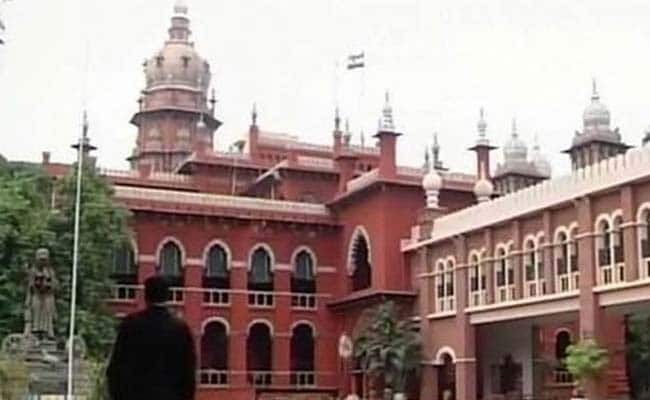 The Madras High court has ordered a probe into filing of a petition before the Supreme Court on behalf of a dead woman with an apparent aim to grab a prime property in Chennai's Anna Nagar. Justice PN Prakash directed the Thirumangalam police station in-charge to conduct the probe and fix the criminal culpability of the persons, who moved the Supreme Court on behalf of the dead woman, around ten years after her death, claiming ownership of the property in Anna Nagar. The bench asked the police to complete the probe within six months and submit its report to the relevant trial court, besides filing a compliance report before it as well. The bench also asked the high court registry to forward a copy of its order to the registrar general of the top court, requesting him to place the matter before the Chief Justice of India for appropriate action against the petitioners, who had moved the top court on the behalf of the dead woman, challenging the high court's ruling related to the property. The high court bench gave the order on the plea by Chennai native SN Kulasekaran, 82, who had purchased a vacant plot measuring 10 cents at Anna Nagar in Chennai from a person identified as Robert through a registered sale deed in 1969. In his plea to the high court, Mr Kulasekaran said he had later moved to Bengaluru after which some strangers grabbed his plot, prompting him to file a suit in 1981 before the District Munsif Court at Poonamallee against the trespassers for a declaration that he owned the property. He had also sought its re-possession, which was decreed by the Munsif Court in his favour on November 25, 1988. But, despite this, he continued to face a barge of litigations before the Civil Court, the Madras High court and the Supreme Court, filed on behalf of one S Rajeswari, claiming to be the owner of the property. Mr Kulasekaran told the high court bench that he recently came to know that Ms Rajeshwari had died in 2003, while an appeal on her behalf was filed in the apex court in 2013 against the high court ruling in his favour. Additionally, he said, on enquiry from her sons, they told him that their late mother had no property in Anna Nagar, Mr Kulasekaran told the high court.